Many women don’t like this phrase. Even Christian mothers. And yet it’s in the Bible! Isn’t that amazing? However, I think it comes down to the fact that we either believe the Bible or we don’t. If we believe the Bible we must receive every word as the living, breathing Word of God. It is an eternal Word. It is as up-to-date as tomorrow’s newspaper! The word literally means HOME-WORKERS! When you lift your eyes from focusing on the so-called “mundane” which must be accomplished each day and instead open your mind and heart to God, you’ll never have another boring moment in your life. And you’ll never have time to be lazy. You’ll be working hard and loving it. Why do I used the words “so-called mundane”? Because if Jesus Christ, the Creator of the universe dwells in you, everything you do is sacred—whether it’s a huge project or the daily tasks of laundry, dishes, or cleaning up baby poo! Everything you do pulsates with the power of God and counts for eternity. Why not decide to be the greatest homeworker in your city? Wow, can you imagine what miracles will happen? My question to this woman would be, “Were your mother’s-in-law students more important than her own children?” Women who had mothers who were teachers and nurses have told me that they longed for their mothers to be home full time. They felt their mothers gave all of the energy to their students and patients instead of them. The best and only job for a mother is at home with her children. This is beautiful, especially the reminder that everything we do is sacred if we invite our Savior into our hearts. In some ways, we live in a time where we are blessed to be able to do many things from home, including being involved in creative pursuits, hospitality ministry, or even work from home that contributes economically to the household. 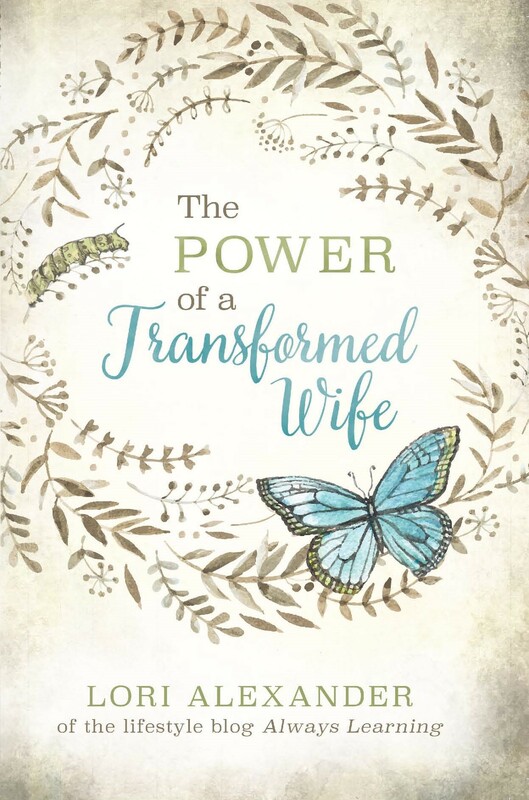 Even for women who are in imperfect family and economic situations (widows, single moms, etc. ), there are at least more options, if one has to contribute financially to her household, to choose to work from home by selling things online, writing, etc. I agree, Fran! With God all things are possible and since He owns everything, if He wants women at home, we can depend upon Him to make a way. “We are not bound to an employer (submitted to another man rather than our husband).” I hadn’t ever thought of it in the light of not be *permitted* to submit to another man. But when I look at Ephesians 5 it says, “2 Wives, submit yourselves to your own husbands as you do to the Lord.” I of course have read that many times and understood it to mean that we are to submit to our husbands, but I hadn’t ever thought of if by saying we are to submit to our own husbands, that we are not to submit to other men (in the same way). This has given me something to ponder. Yes! Many women try to convince me that the Proverbs 31 woman was a career woman BUT she did not leave her home for hours a day, her children in the care of others, and submit to a boss. In saying she was a career woman, they have made up a modern day fable. “The Fruit of Her Hands” book by Nancy Wilson came to mind as I read your comment. It has helped me know my place and boundaries and many other things ~ very, very helpful. I know the life of a working mother and the life of a stay at home mother. I also know the life of having a working mother and a mother who stayed home. By far it is the best to have a mother at home. By far it is the best choice I could make to stay home. Our only problem we had and still have is financialy. It always makes me think if I should not go back to work and then the question pops up, “What kind of testimony will I be of God’s truth”. Why will we compromise the best to have the seemingly best. One night in Church this came to me “Real blessing is not to have enough money, but to have God’s will in your life”. It is true, we can’t serve God and Mammon. I run a little baking bussiness from my house to support my husband. It is not my first priority, but it is a way I can show my Homeschooling children how to provide for the family. They help me bake and they love to deliver the orders, because I am not really a seller, but rather a giver, so to protect my giving heart, they prefer to deliver. Because Mamma worked hard to bake the bread, we feel proud to get money for it. It was terribly hard for me to start, but God helped and pushed me in every way. About my whole neighborhood is supporting me with advertisements and ideas and suggestions. Then my husband would amazingly be able to get me some equipment I needed for the bakery. It is not much, but it is perfect for small. I grow in areas I never grew when I was working. My family is blooming, I am a wonderful mother, God is with me all the way. I am blessed, my house is blessed, God’s will is our blessing, purpose and truth. This is my heart’s desire…to be a worker at home. I didn’t grow up knowing this passage and bought into the world’s idea of feminism and the strong, powerful, career woman. I have an accounting degree and now all I want is to be that worker at home. 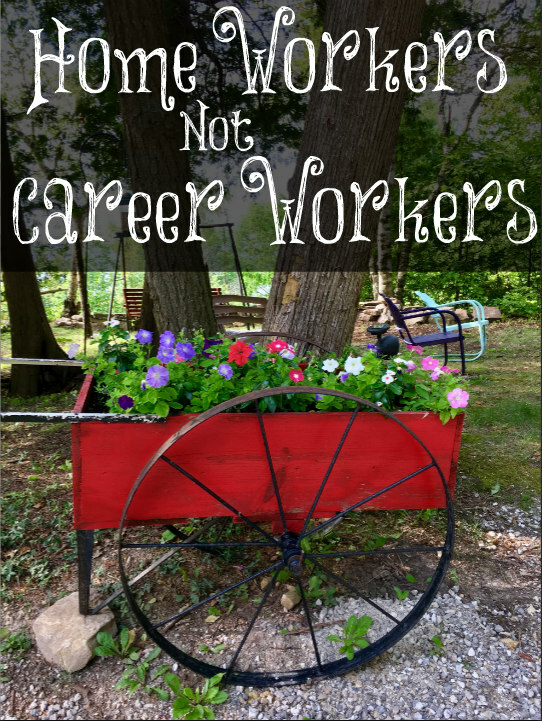 Over the past couple of years, I have been seeking to make the move from work force to work from home completely. I’m so happy to say that I am now only doing bookkeeping part time and working from home part time and as soon as we pay off more debt, I intend to drop down even more. My prayer is to be 100% work from home by the time we move to Florida. I have no children living at home right now so I don’t stress it so much but once we move to Florida, my stepsons will be there and even though they’re not actually my kids, I still want to be available for them.